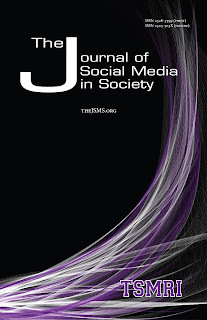 The latest issue of The Journal of Social Media in Society is out, with cutting edge international research about athletes on Twitter, #Ferguson, social media in the workplace and in hiring decisions, The Biggest Loser, and social media and politics. Read the entire issue here: http:thejsms.org. Or search our archives for articles.If you'd like to submit a manuscript, you can register as an author, and upload your work. 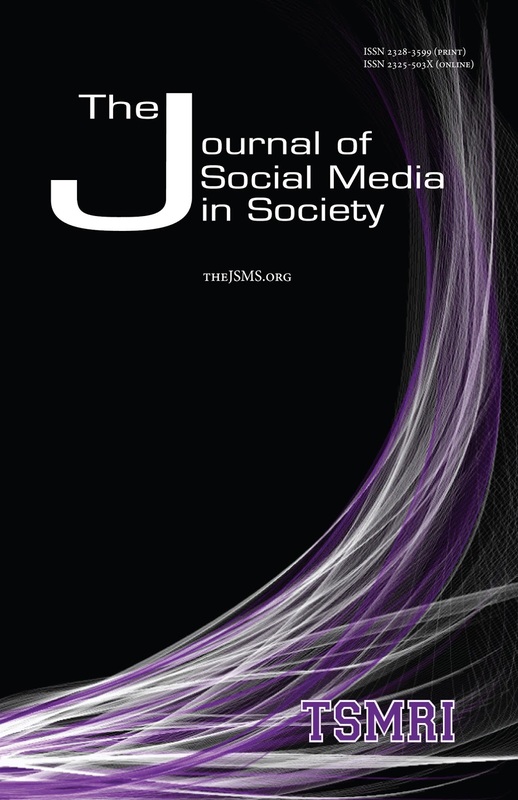 We'd like to extend our thanks to the many reviewers who make the journal a possibility, and our financial supporters: Texas Social Media Research Institute (TSMRI), Tarleton State University's College of Liberal and Fine Arts, and Tarleton's Graduate School.